The Brainwave Entrainment Audio contained herein will allow you to reach an altered state of consciousness in which you will commune with the Great Morrigan. The frequency used is Alpha, Delta and Theta, with a serene musical accompaniment, which will relax you for your work with this great Goddess. 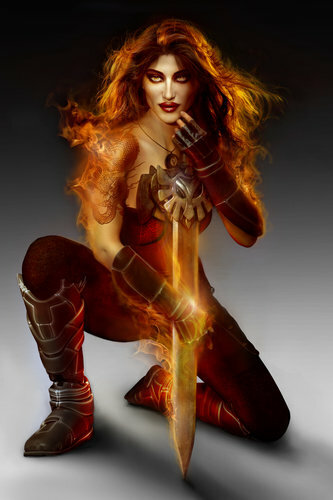 She is know as the shape-shifting Celtic Goddess of War, Fate and Death. She is the Goddess of revenge, the night, magick, divination and High-Priestess of witches.